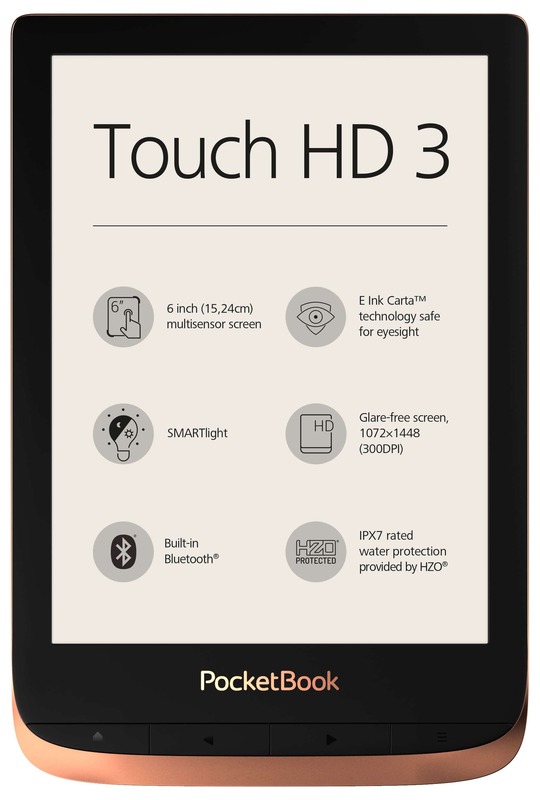 The Touch HD 3 e-reader is one of the best mid level devices that Pocketbook has ever released. It has a very interesting design with the brushed aluminum and manual page turn buttons. The big selling points is the audio functionality, a color temperature glowlight system, Bluetooth and is the fact it is completely waterproof. The Pocketbook line of e-readers does not lock you into a walled garden and plays nice with the majority of ebook formats out there, such as PDF, EPUB, DJVU, FB2, FB2.ZIP, DOC, DOCX, RTF, PRC, TXT, CHM, HTM, HTML, MOBI, ACSM. Pocketbook pays a license fee to Adobe for their DRM system, so you can load in ebooks you have purchased from other bookstores, provided they are in PDF and EPUB or borrow from the library. The Pocketbook Touch HD 3 features a 6 inch E Ink Carta HD screen with a resolution of 1440X1080 and 300 DPI. It has a front-lit display to read in the dark and also a color temperature system that warms the screen up. I am pleased to report that both the front-lit display and glowlight work wonderfully. There is little to no light bleeding on the edges of the screen. In order to initiate the front-lit and glowlight systems you need to hit the top bar and a dropdown menu appears. You can independently adjust the lighting system with a slider bar, or just turn them both off. This menu is also where you can sign into your wireless network or connect up Bluetooth accessories. There is also a sync button which will query the Pocketbook servers for firmware updates. The Touch HD has an IPX7 rating, so it will survive being completely submerged for around 30 minutes and will also be immune to dumping liquids on it. This is great if you are looking for a $149 dollar e-reader to take with you on vacation. Underneath the hood is Dual Core 2.1 GHZ dual core processor, 512MB of RAM and 16GB of internal storage, but does not have an SD card. One of the big selling points behind this device is the audio support. Integrated audio features are available via an accompanied micro USB audio adapter and Bluetooth wireless connection. The PocketBook Touch HD 3 supports both mp3 and m4b audio formats, providing a convenient opportunity to listen to and bookmark your audio books. The Text-to-Speech function converts text into voice and allows the e-reader to read aloud any text file from the device’s supported formats. The voice sound a bit robotic and I think Alexa, Google Voice Assistant and Cortana have spoiled me. 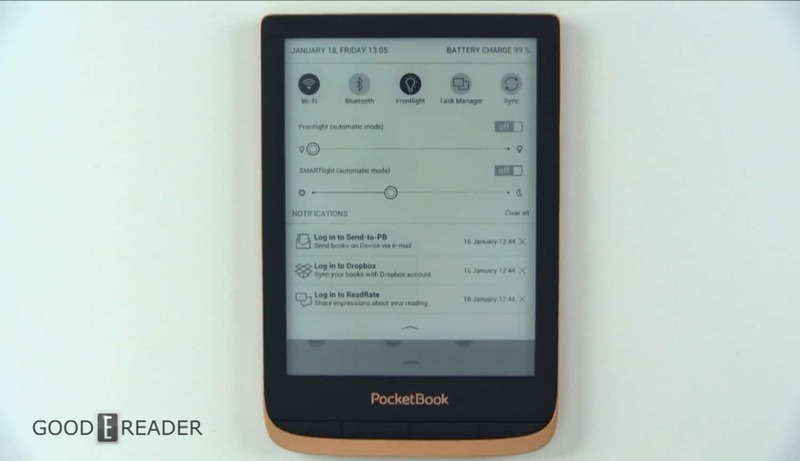 The one thing Pocketbook has always done right is include manual page turn buttons on their ereaders and the Touch HD 3 is no exception, you can easily hold it with one hand thanks to it only weighing 155 grams and the dimensions are 161 by 108 by 8 mm. The main home screen comprises of a carousel that lists all of the books you have recently added or are in the process of reading. You can use the touchscreen to select a book or you can use the manual page turn keys to navigate around. One of the most interesting aspects of the carousel is when you are scrolling, only the carousel refreshes and not the entire page. The library menu is fairly basic, you can sort by authors, title or date added and all of the e-books show the cover art. The library menu has inertial scrolling, which means you can drag your finger down, let go and it will continue to scroll down a little bit. The app menu has a number of usable things, such as a few games (Chess and Sudoku) and some proprietary Pocketbook apps such as Send to Pocketbook, Dropbox for Pocketbook, The Pocketbook Bookstore, Pocketbook Cloud and a RSS Reader. What is most impressive is the stock note taking app they have. It is seriously robust as heck, and allows you to choose a bunch of different pen sizes to jot down notes, although it is not compatible with any stylus. There is also a new feature called ReadMore, which is similar to GoodReads, but seems to be only available in Russian. The settings menu has some default options, such as page refresh speed and firmware updates. If you want to borrow ebooks or audiobooks from the public library or purchase digital content from other booksellers, the Touch HD 3 has Adobe DRM support. This will allow you to enter your Adobe login and password on the e-reader and then use Adobe Digital Editions to copy it to your device. Many e-readers do not have this kind of support, because Adobe license fees are really expensive. 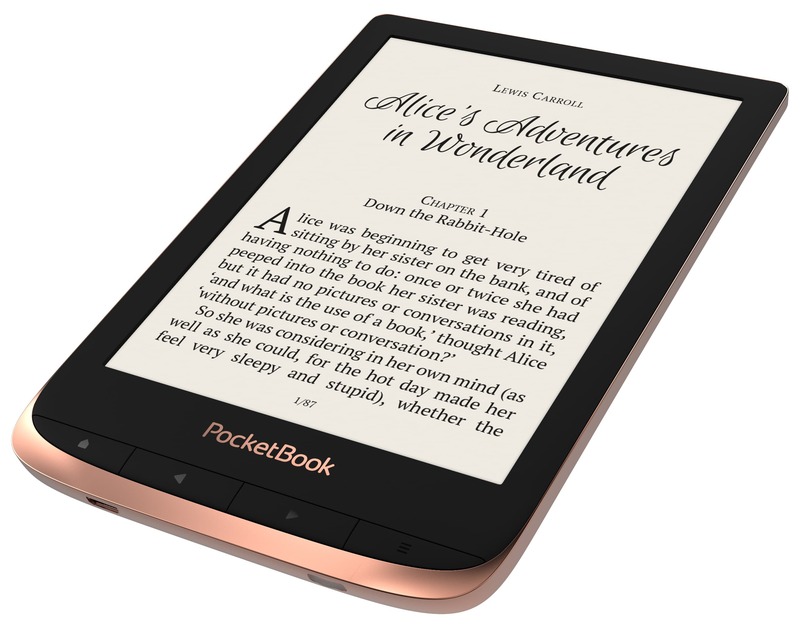 The Pocketbook Touch HD 3 primarily supports EPUB and PDF files. It does not have a dedicated digital bookstore, so you will have to sideload in your own content or borrow them from the public library. Luckily this device supports a wide array of ebook formats; PDF, PDF(DRM), EPUB, EPUB(DRM), DJVU, FB2, FB2.ZIP, DOC, DOCX, RTF, PRC, TXT, CHM, HTM, HTML, MOBI, ACSM. You can change the line spacing, margins and a bunch of fonts. You can increase the size of the text and it even has a hyphenation option, which emulates Amazon Bookerly, which truncates spaces between words. In most e-books there are formatting problems when a book is not optimized for a particular device. Some words have a normal space, but others (appear like this, and are hard to read). The hyphenation option solves most of these spacing errors, but not all of them. There are a ton of pre installed dictionaries and translations available. This is due to Pocketbook being based in Europe, so they support all of the major countries and markets there. Page turn speed is really quick, this is due to the E-ink Carta screen and the dual core processor. There are advanced settings to limit the page refresh rate from 1-10 pages or completely shut it off. If you are just reading EPUB books, you won’t be let down. The Pocketbook Inkpad has garnered the most interest out of the current generation of e-readers, but the Touch HD is a close second. The price is pocket friendly, no pun intended, at $149 from the Good e-Reader Store. The closest competition from mainstream brands are the Kobo Clara HD, Amazon Kindle Paperwhite 4 and the Tolino Shine. I would recommend this Pocketbook model if you do not want to be locked into a walled garden of Amazon, B&N, Kobo, Apple or Google. I like being able to sideload in my own ebooks from my own personal collection and borrow from the public library, such as Overdrive. 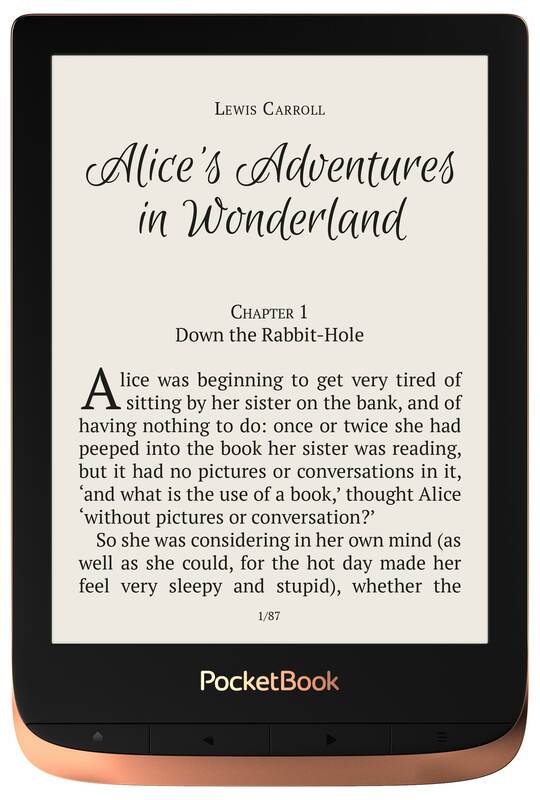 You do have to use Adobe Digital Editions to load them onto the Touch HD 3, so it is not as easy as the latest gen Kobo e-readers that allow you to do it all right on the device. This or the Clara HD? store doesn’t matter content would be sideloaded anyway. Our comment platform is very strict, and for some reason is holding legitimate comments in moderation. I will look into it. What bookstore does pocketbook use? Where can I find a good comparison between this and the original Kindle Oasis? how many inches has your …. reader? Alison, you are a shameless whore and need to take a long look in the mirror at the kind of mange-ridden weasel you’ve become. Who in hell would want to meet someone like you in real life? No one. With good reason most of humanity flees someone like you. Also, your comments are off topic. Also this book can be synced with pocket.cloud. One question: when you are reading a book, can you left-align the text? Or is it full-justify always?